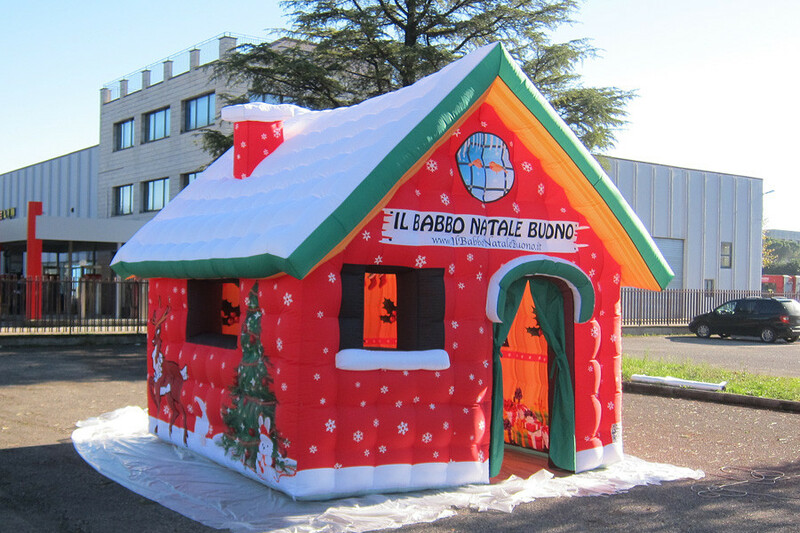 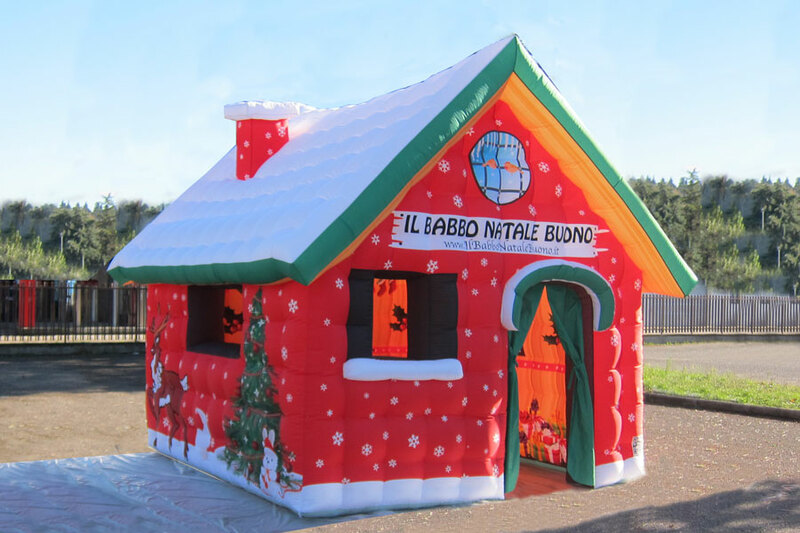 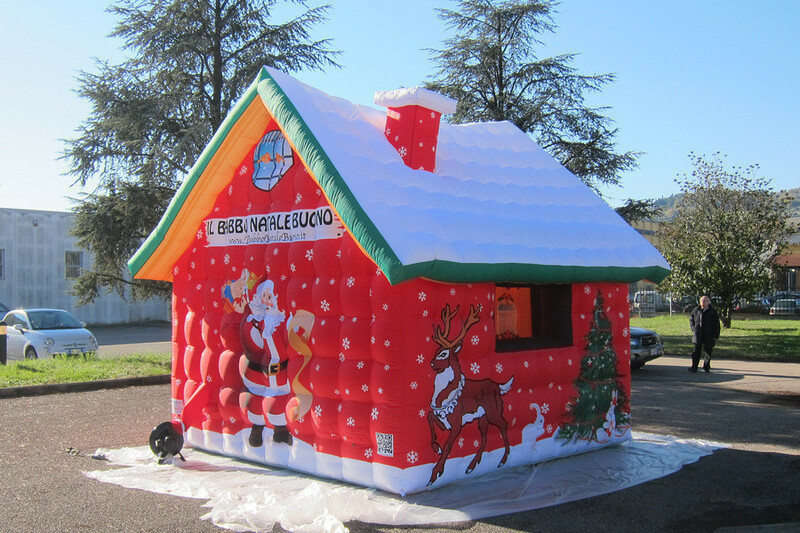 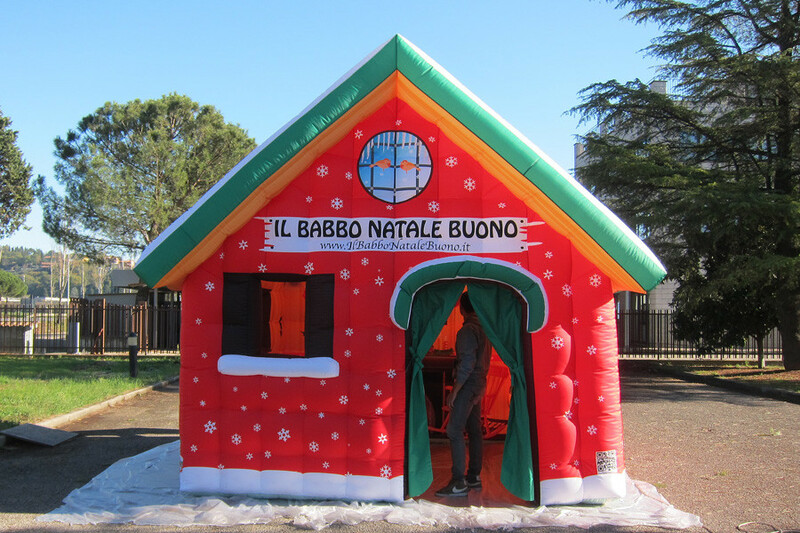 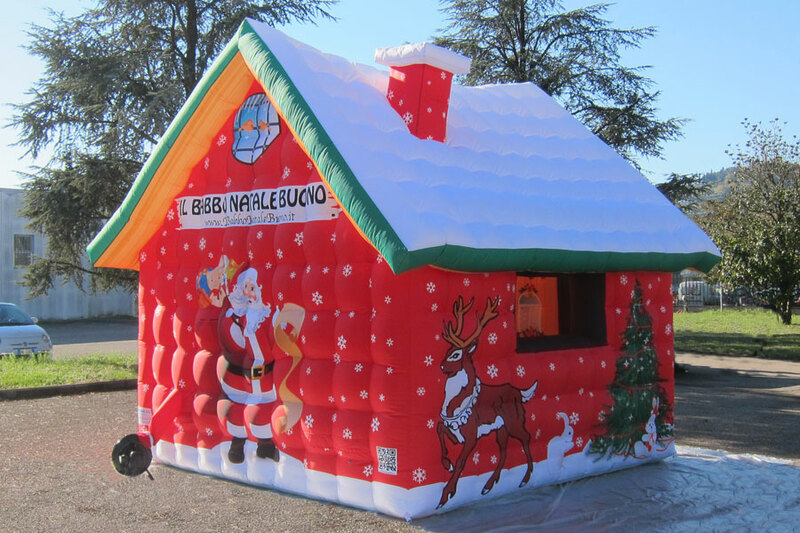 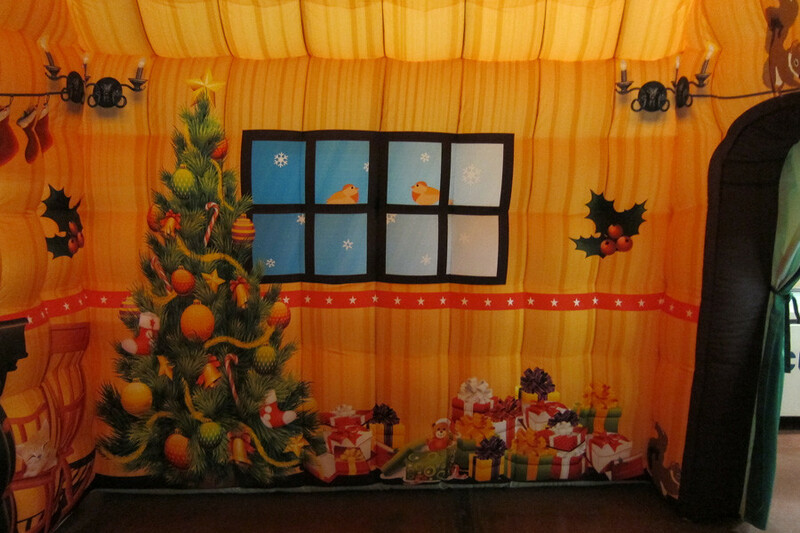 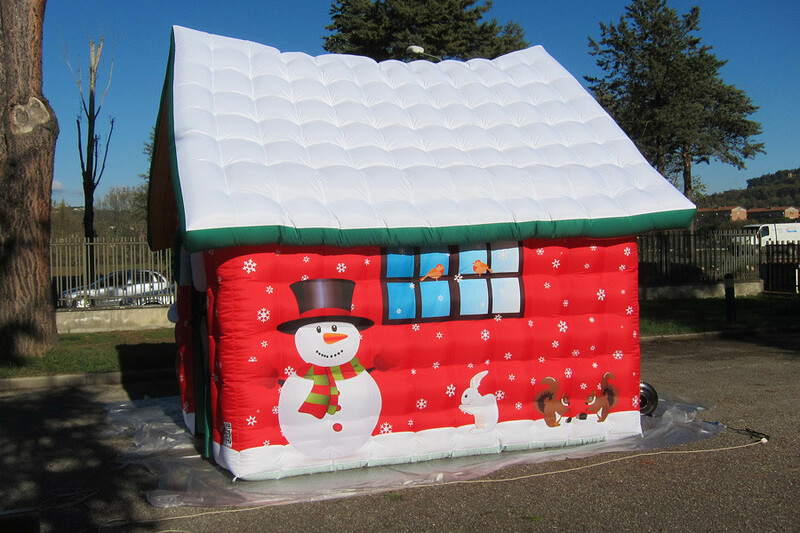 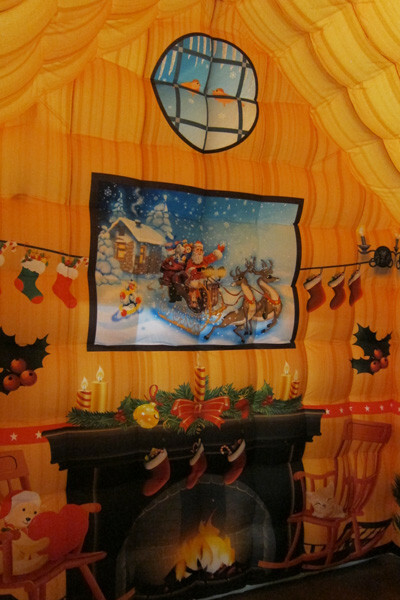 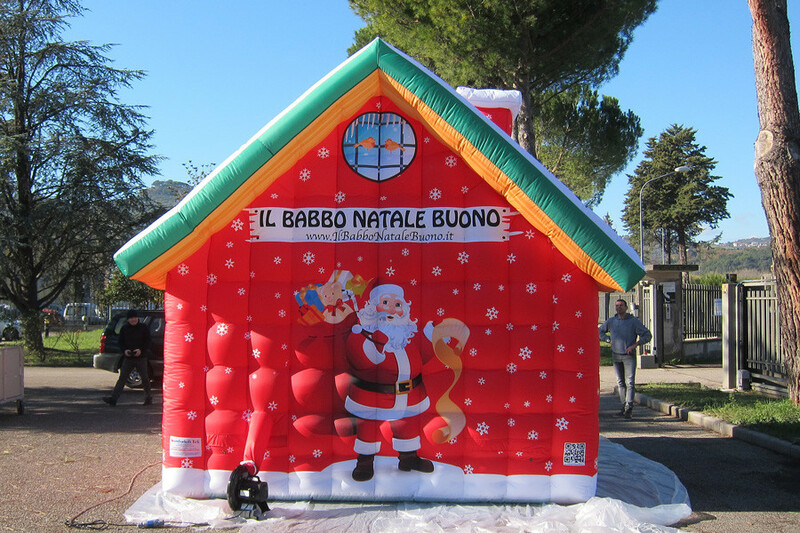 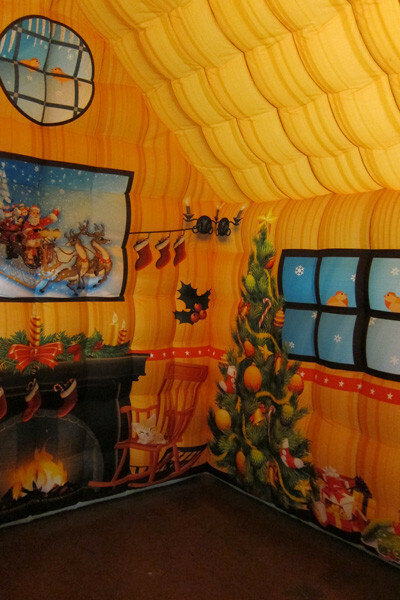 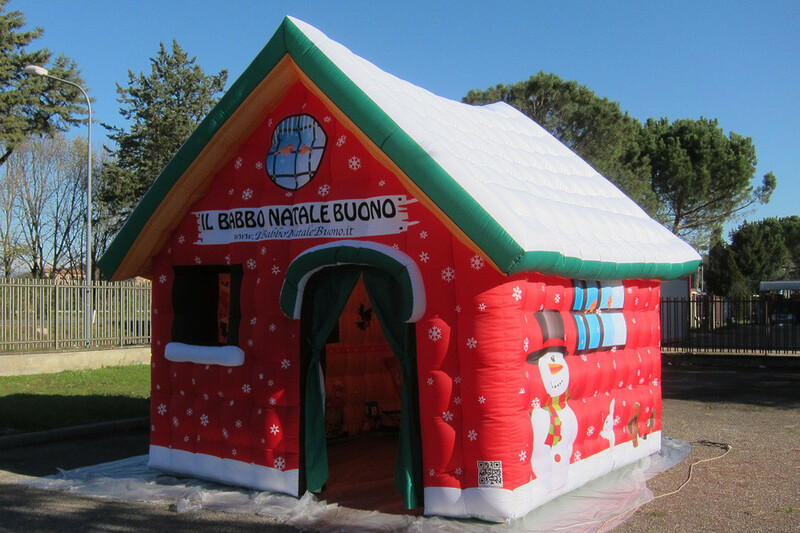 Santa's house is aivailable in different sizes and customizations. 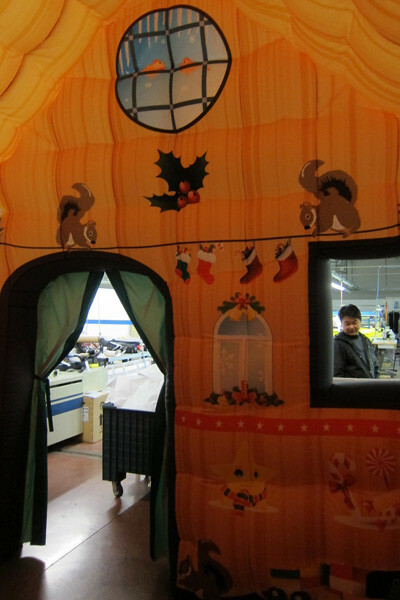 Produced with polyester fireproof fabric fully printed in high definition. 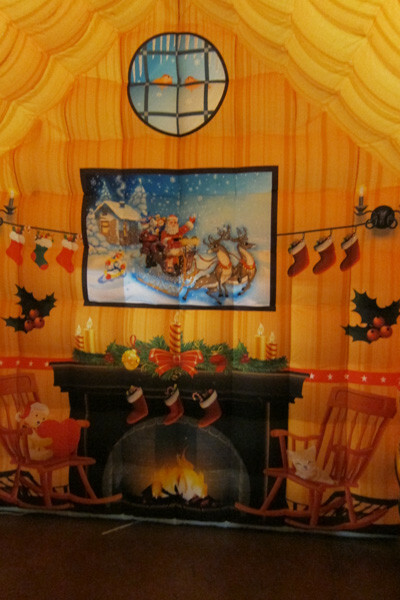 The interiors represent all objects of the true home of Santa Claus: the fireplace, the hearth. 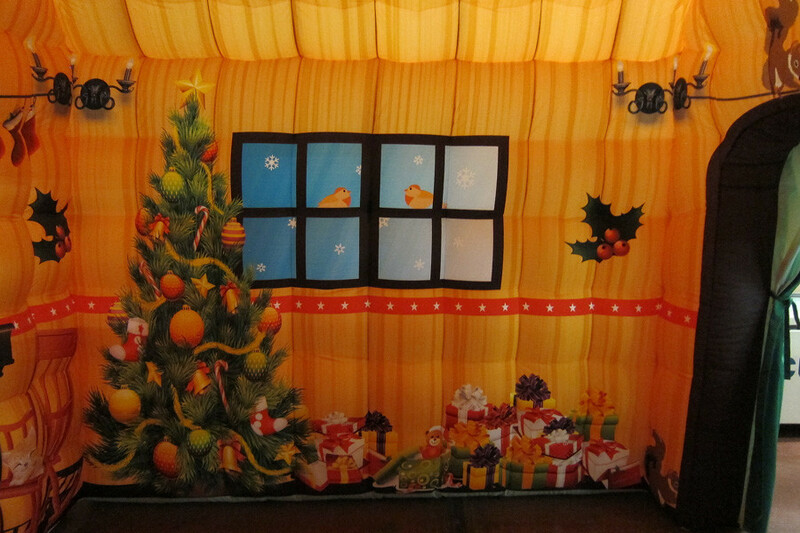 the tree and the gifts.